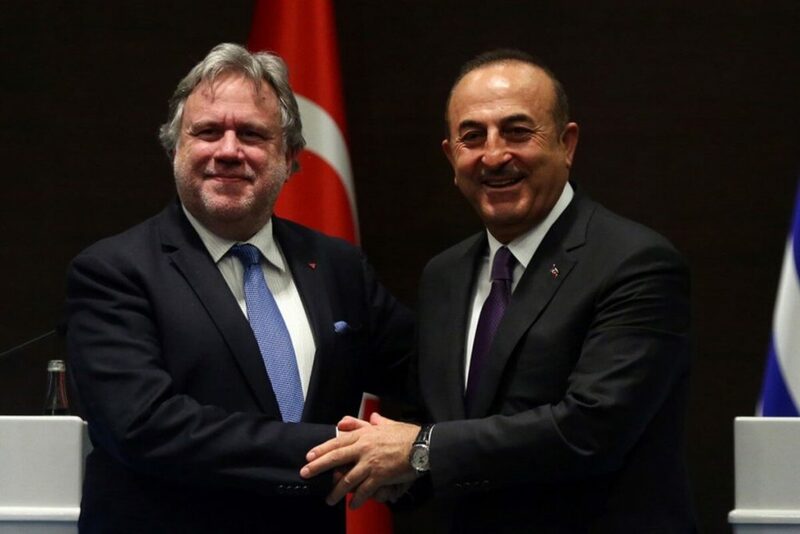 The Turkish Foreign Minister Mevlout Cavusoglu expressed his gratitude to the Greek Foreign Minister George Katrougalos for saying that Turkey should not be excluded from hydrocarbon exploitation in the south-eastern Mediterranean. The statement was made during their joint statements following the meeting they had on Thursday morning in Antalya. “Regarding the issue of hydrocarbons, George said Turkey should not be excluded. We thank him for his positive message”, the Turkish Foreign Minister said, also sending a message that “no project that does not include Turkey is unrealistic. Turkey has rights based on international law, they can not anywhere by excluding Turkey”, added Cavousoglou. Referring to the same issue, the Greek Foreign Minister said that “in the Eastern Mediterranean Turkey has rights according to the Law of the Sea that we want to govern the differences between us”, adding that Greece on the issue of energy has defended the rights of Cyprus. On Wednesday, in an interview with the Anadolu Agency, George Katrougalos had stated “how can one exclude from this region Turkey which has so many kilometers of coastline in the Mediterranean. Nobody claims the opposite of it”. At the beginning of his statements, George Katrougalos said that “we are ready to move on with a positive agenda”. “A part of our positive agenda is how to ensure respect for international law in de-escalating tension and implementing agreed measures. Our aim is to discuss the solution of the problems that concern us”, added the Greek Foreign Minister. He also noted that “we are open to the European prospect of Turkey because it is in the interest of the EU, the Turkish people and Greece to have a European Turkey on the eastern border” adding that “the measure of the harmonious coexistence of states is given by the international law”.